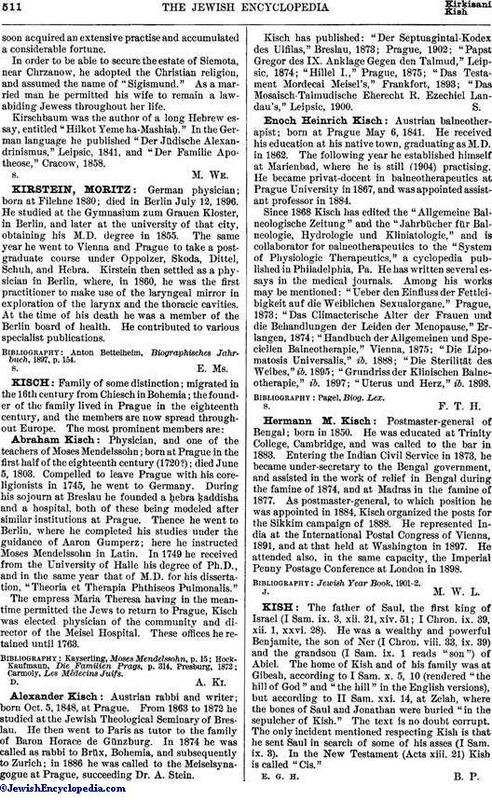 Austrian physician and writer; born at Sieniawa, Galicia, 1797; died at Cracow 1860. After studying philosophy and medicine in Berlin, he settled as a physician in Cracow, and as "Der Berliner Doctor"soon acquired an extensive practise and accumulated a considerable fortune. In order to be able to secure the estate of Siemota, near Chrzanow, he adopted the Christian religion, and assumed the name of "Sigismund." As a married man he permitted his wife to remain a law-abiding Jewess throughout her life. 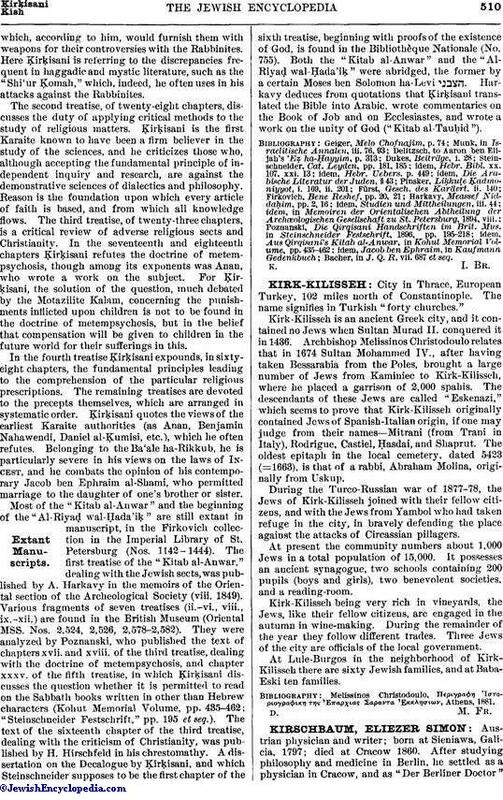 Kirschbaum was the author of a long Hebrew essay, entitled "Hilkot Yeme ha-Mashiaḥ." In the German language he published "Der Jüdische Alexandrinismus," Leipsic, 1841, and "Der Familie Apotheose," Cracow, 1858.